Head spinning from all the holiday hustle & bustle? Give yourself the gift of a FREE vacation! When I was a kid my family life taught me that my mind was a very safe place to be…I was pretty young when I learned that if I thought about things hard enough 99.5% of the time I could figure them out. And that "habit energy" (as it has become over the course of these last 55 years) has indeed served me well in many ways. So especially at this time of year when most of us can't resist the almost magnetized pull of holiday hyperactivity, it's especially important to take a break from time to time. What…you say you can't afford an extra vacation or two this time of year when all your holiday bills are about to come due? Join me for a mental vacation at the historic Buzzware Village Center in Arden, DE where I'll be hosting "A FREE Taste of T'ai Chi Chih" on Saturday, January 13th! “Exactly how does this mental vacation thing actually work?” I can almost hear you wondering. Believe me, it’s EASY!!! But first, I’ll tell you a little back story. Many years ago when I first started hearing about the many benefits of regular meditation I really liked the idea of meditating but was simply unable to sit still long enough to get it done. And not only was the sitting still part super-challenging, the empty-mind part seemed almost mindBLOWING. And I’m sure my initial forays into the mediation world were not unique because these days, when I suggest meditation to a client as a viable treatment option for almost any kind of nasty condition you can imagine, I’m often met with a look as if I've just suggested that he/she should slit his/her own throat! Then about 8 years ago (when I’d actually completely given up on ever being able to meditate) I walked into a T’ai Chi Chih class by accident one day. A stubborn hip injury had finally ended my ability to practice karate just a few months shy of testing for Second Degree Black Belt and I was pretty much going out of my mind missing all those Wonder Woman-ish feelings karate aroused in me. 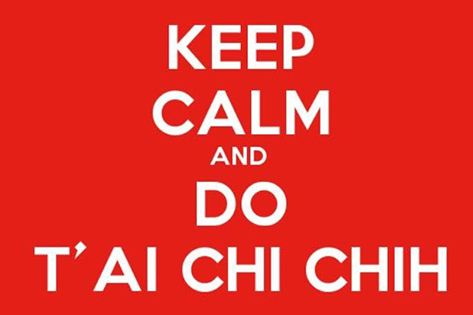 So I decided to try T’ai Chi Ch’uan – the slow yet powerful martial art – and walked into a T’ai Chi Chih class at the YMCA where I worked without a clue my world was about to change COMPLETELY. There are no mistakes though, right? But I digress…so finally I’ll land the plane by telling you exactly how the mental vacation thing works. Yes, it happens by accident…the monkey inside your head gets tricked into shutting up while you’re simply paying attention to the soles of your feet. You start with noticing the feeling of your feet touching the floor, then shift your weight and notice how that feels, then shift your weight again and notice how that feels, etc. There’s a little bit more to it than that but you’ll just have to come to my FREE workshop on Saturday, January 13th and find out for yourself. Oh and BTW…did I mention it’s FREE?